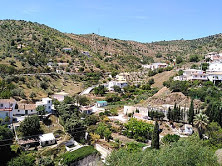 Totalan is a small village in the autonomous region of Andalusia situated some 15 miles from the city of Malaga and some 400 from Madrid. Its name is taken from Arabic meaning ‘torta’ or ‘pie’ in English and dates back to the days when Spain was under Muslim rule. The town council has kept a good record of its history dating back to the Neolithic era (4000-3000 BC) after the discovery in 1995 of a dolmen (megalithic tomb) that has been named ‘the Crown’. Its present population is around 700 inhabitants and like many other villages in the area is quaint, peaceful and harmonious. However, a tragic event occurred on the 13th of January when Julén, a small boy, barely 2 years old was playing with his tricycle in the hills, during a picnic outing with his parents, and fell down one of the many water wells in the area. These wells are deep and narrow. About 25 cms wide and 100 or so metres deep. They are meant to be properly sealed. This one was not! Once the news was out, the mammoth rescue operation that followed not only hit the national but also the international news. Herewith is a short synopsis of the story that filled the hearts of everyone and although the final outcome, foreseen by most was tragic, the effort to salvage Julén will be written into the history books. To begin with, once the parents had confirmed that they saw their son fall down the well a message was sent to the local Civil Guards that in turn triggered the organization of a national coordinated rescue mission. This required an expert team of engineers from the three main bodies, who were firefighters, civil guards and coal miners, the latter from Asturias in Northern Spain. What followed was an urgent project plan to determine first of all the state of the 100 metre deep well. What they found was a blockage at 70 metres and no sign of Julén assuming therefore that he was somewhere in between. From now on it was a race against time. Two different approaches were worked out. Drive a parallel well and perforate across at the section where the child could be and a separate tunneled entrance on the other side further down the slope of the mountainside. Without going into details, suffice to say that as the days went by many obstacles were encountered such as the need to deviate the original perforation route including the resizing of the same, to constant sectors of hard rock requiring delicate drilling skills. The display of machinery was incredible and massive. On the other side of the fence the solidarity not only of the townsfolk but from all over the country took place, from food supplies for the rescuers to free accommodation for the massive display of media reporters following the story. It showed Spain at is best in efficiency and above all solidarity. The final moments were even more dramatic. Two miners and one civil guard were within inches of the suspected spot where Julen could be. Whether he was still alive after almost two weeks was not in their minds. The task of drilling inch by inch and using minute explosives (only the civil guard had this responsibility) was all that they were concerned with. We all know the outcome. Julen had fallen those 70 metres in a free fall. His autopsy confirmed that he died on impact of multiple injuries. He could have caused debris to fall behind him as he fell thus covering his body. An enquiry is now underway and like all legal procedures will take time to determine who or what was responsible for the tragedy. However, for once, Spain forgot about politics. So what else has happened? Nothing much! Brexit. Spain’s media hence the politicians of all sides are finally taking note of the possible outcome or not of a ‘No Deal’ come 29th March. At last some of the effects, especially on the fishing sector that could have one of the major impacts on their economy is coming to light, not to mention the eventual drop in British tourism, the return of many retired expats and Brits’ spending power due to a weaker pound. Obviously, the claim over Gibraltar also takes center stage. Venezuela. Events taking place in the South American country are of concern because of the historical bond as an ex colony as well as the massive return of emigrants since the Chavez regime took over two decades ago. Ironically the 500th anniversary of Hernan Cortez’s historic landing in Mexico in the XVIth Century and conquering the Aztecs that gave rise to the Spanish colonial empire is being celebrated this year. So far the Spanish government has backed the European Union’s response to the recent uprising by supporting the Venezuelan parliament and calling for new elections as soon as possible. However, a dark cloud hangs over the country as the Marxist party Podemos (We can) has always supported the Bolivarian revolution and the previous socialist (PSOE) president Jose Luis Zapatero has spent years travelling to Caracas on swan trips and without a real program or a political result. The Catalan situation is still the main trouble spot. The present socialist (PSOE) government continues to woo the regional government hoping that they will come to some an agreement and drop their pledge for independence. It’s a sort of groundhog day situation. In the meantime, the central government keeps on sending them more money than to other regions. Elections. Local town council, some regional and European parliamentary elections are due in May so the voting campaigns have begun. There will be a great deal of surprises because the political scenario since the advent of the new right wing party, VOX broke the back of the socialist monopoly in Andalucía - reported in past essays - continues to gain support, Podemos (We Can) is in disarray, Ciudadanos - the every-which-way party - does not cease to baffle supporters with their constant dithering, and the conservatives (PP) are still trying to brush off their past record of both naïve management and corruption scandals, and finally the socialists (PSOE) have a president that loves international travel whilst his feminist movement government continues to rule by decree, Spain is in for a new period of political uncertainty. As reported at the beginning, for one brief moment, as per ‘Camelot’, politics did not take center stage and gave way to the ‘real’ Spain. This is a great country with great people, but then isn’t this the same the world over? There seems to be a new breed of ‘fake’ news and ‘freak’ politicians taking over and committing some of the most hideous decisions that were buried years ago. New communication methods, and mass networks are breeding a new generation of ‘weirdos’ walking about like zombies thumbing away at their iPhones. Or is one just growing old!